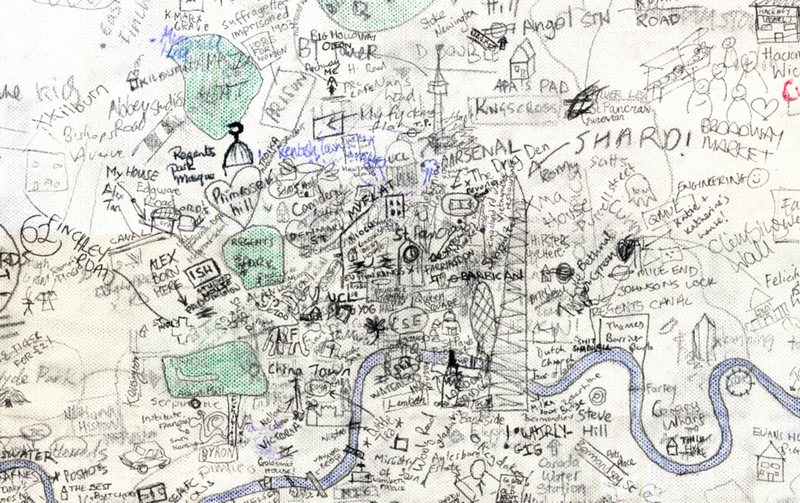 Transport for London would really rather you didn’t travel into Zone 1 – the central part of London. It’s a lot cheaper to travel on the London Underground, or indeed the rail network, if your journey doesn’t involve going to, or through, Zone 1. A Zone 2-3 journey is £1.40 during the Peak Periods, while the same journey on Zone 1-3 is £2.50. This map (larger version) shows what the tube network (and selected railway lines that go very near Zone 1) would look like, if the Zone 1 stations were taken out. 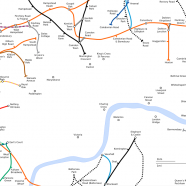 The non-tube/non-Overground/non-DLR lines are shown as black dots. Stations on the boundary of Zone 1 are included as you can travel to these (but not further) without getting the Zone 1 premium. I’m using a pseduogeographical tube map. It’s based on an original SVG map, collected from public-domain measured coordinates and posted on Wikimedia by Ed G2s and James F, subsequently updated for Wikipedia by David Cane. I then used GEMMA to create a map of all the train lines in London, using the data from OpenStreetMap (CC-By-SA, will be sharing imminently). 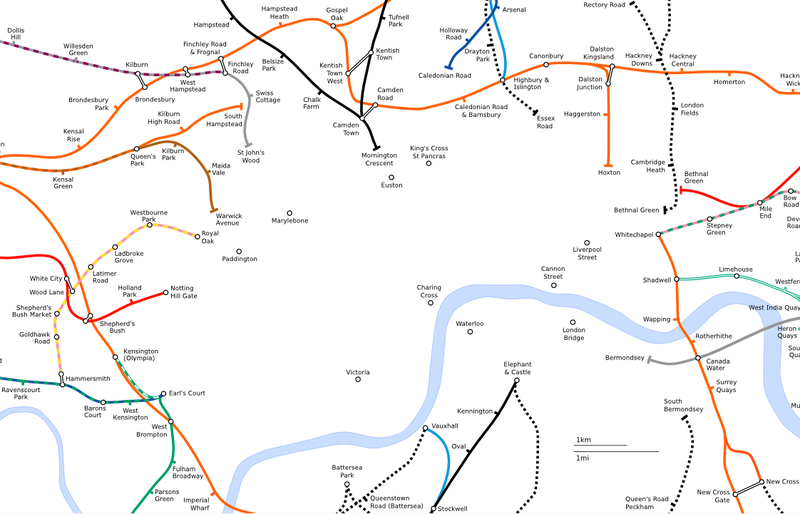 I then traced over that map in Inkscape to add in the Overground and the selected other railway lines. Probably worth noting that this will not accurately represent the fare scheme for Oyster. Some fares are defined as ‘via Zone 1’, even if you do not actually travel through Zone 1.
but you MUST tell the system (by swiping one of the PINK oyster card readers) at the station where you change that you are doing so. http://www.tfl.gov.uk/tickets/14871.aspx on the TfL website has more.